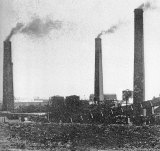 In 1958, the National Coal Board (NCB) announced it would close 36 pits. 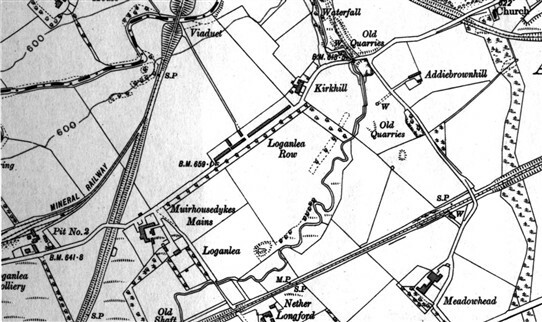 Twenty of the 36 were in Scotland, and they included two in West Lothian: Loganlea and Harwood, which together employed 500 men. The closures were part of an 'economy' drive: the NCB was trying to close down old, uneconomic pits, while at the same time opening large new pits, e.g. Rothes, Monktonhall, Bilston Glen, etc. But many of these modern pits proved a failure. Coalmining was in steep decline by the late 1950s. 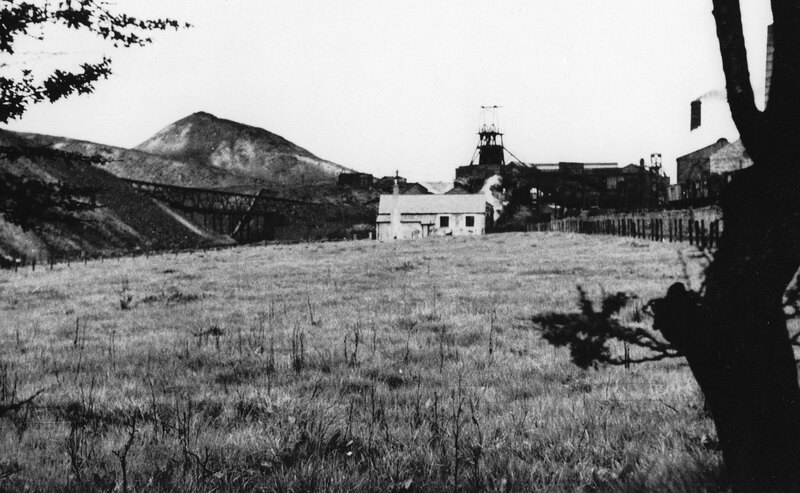 West Lothian gradually lost its coal mines, with another closure every few years throughout the 1950s, 1960s and 1970s. The last coal mine in West Lothian was Polkemmet Colliery at Whitburn which closed at the time of the miners' strike in 1984-85 and never re-opened. 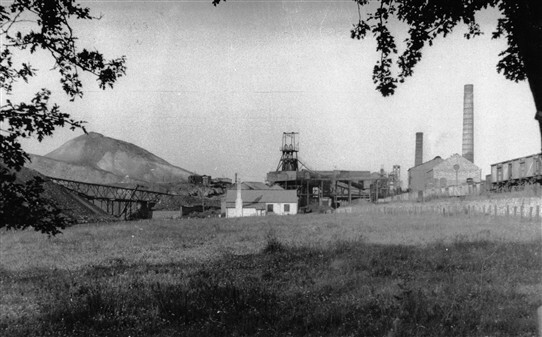 The photographs of Loganlea Colliery were among many taken by William Aitchison, formerly of Addiewell. Did you work in Loganlea Pit? Tell us what it was like, and your memories of working there. Or did you know someone who used to work there? Tell us their story. William Aitchison. All rights reserved. 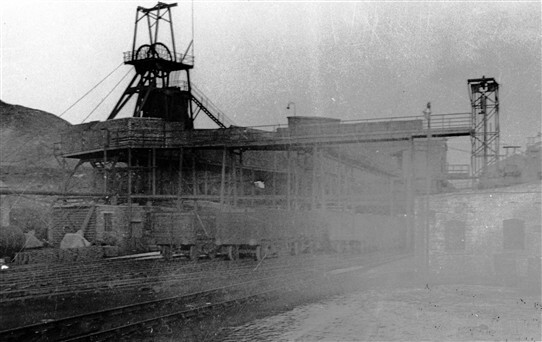 This damaged photograph shows the headgear which raised and lowered the men and coal up and down the shaft in a cage. 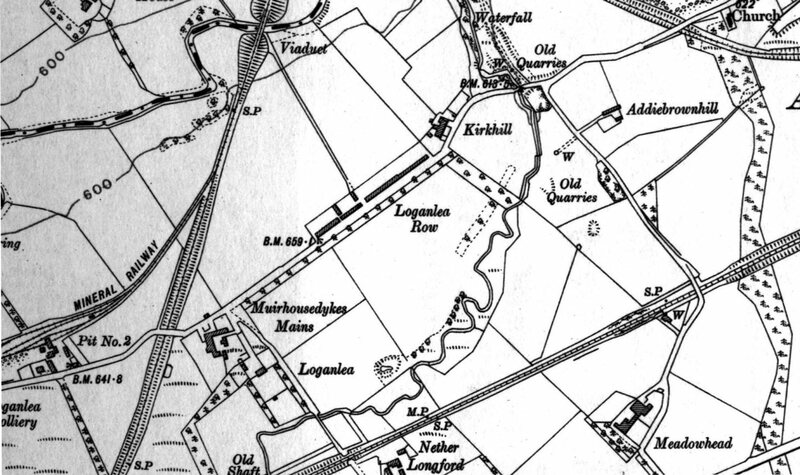 Map of Loganlea in 1922. The site of the colliery can be seen on the extreme left. This page was added by Sybil Cavanagh on 17/03/2013. My Grandad Tommy Foley worked in Loganlea Colliery and we all loved going up the pit road to meet him at lousing time, we would carry his piece box and anything else he had. We were very proud to do this and it did not matter one jot how dirty he was from Coal dust. Some days he would bring home new bath towels which our Granny would have to wash before using them. Many years later the Postman delivered a cardboard tube addressed to him, inside it was a scroll from the Coal Board thanking him for a lifetime of loyal servitude down the Pit, he immediately threw it in the back of the fire saying what use was that and was that all he was worth after the all the years he gave them, I was dared to try and rescue the scroll and it quickly turned to ashes. The lot of the miner in those days was not a happy one and certainly not a healthy one. Anytime I come home to Loganlea I make a trip up the Pit road to see the site where the Pit stood, it is hard to believe it ever was there with all the landscaping they have done. Loganlea Colliery - was it the first to be electrified?